Episode five, 'Same Stitch,' delivers two unique finales (and two possible Jokers) in a single episode. 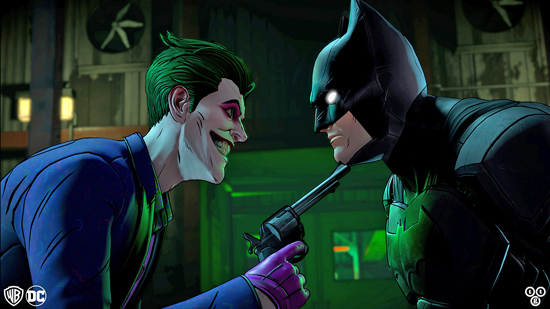 Decide Gotham's fate in the acclaimed adventure series. 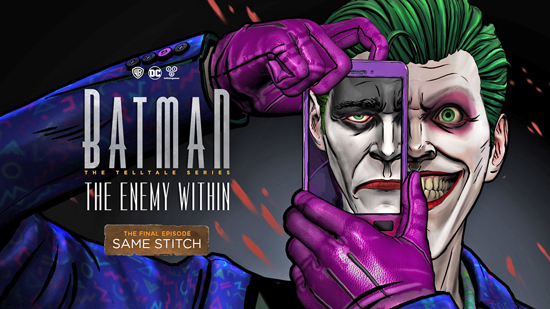 Today we are thrilled to share the official release date for the fifth and final episode of Batman: The Enemy Within, the ongoing five-part episodic game series that continues Telltale's unique take on the World's Greatest Detective. Episode five, 'Same Stitch,' launches Tuesday, March 27 on Xbox One, PlayStation 4, PC, Mac, and mobile. You can download new screenshots and key art by following the links above. "What would you choose: a friend whose unhinged approach to justice turns your allies against you, or a sworn enemy who will stop at nothing to see you suffer as your city burns? Based on the relationship you've built with John Doe, you'll see one of two very different stories play out. So what'll it be, Bruce: friend...or foe?" As the description indicates, the choices players have made over the course of the season will determine which story -- and which version of The Joker -- they'll see in the finale. Same Stitch features two totally separate takes on the fully evolved John Doe: one a ruthless villain that hews closer to the classic Clown Prince of Crime and the other an unpredictable vigilante that's unlike any other portrayal of DC's iconic character. In total, Same Stitch contains three and a half hours of content spread across two completely distinct storylines that share, at most, only three overlapping scenes. Each of those storylines includes further conditional variations that reflect players' earlier choices and make Same Stitch, mathematically, Telltale's "branchiest" episode ever. With over 4,500 lines of dialogue divided among 38 characters, the overall script for the episode is larger than Christopher Nolan's entire Dark Knight trilogy. 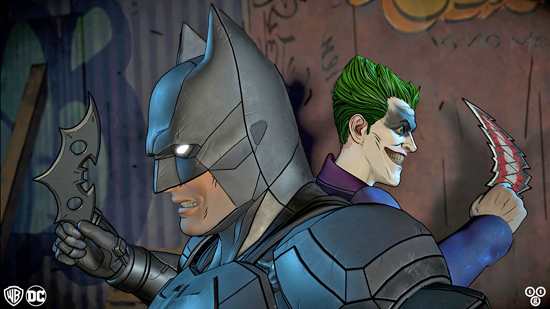 Batman: The Enemy Within is a standalone product separate from the first season of Batman - The Telltale Series.